A nutty and clever buddy story that celebrates cooperation, perfect for fans of Duck and Goose. 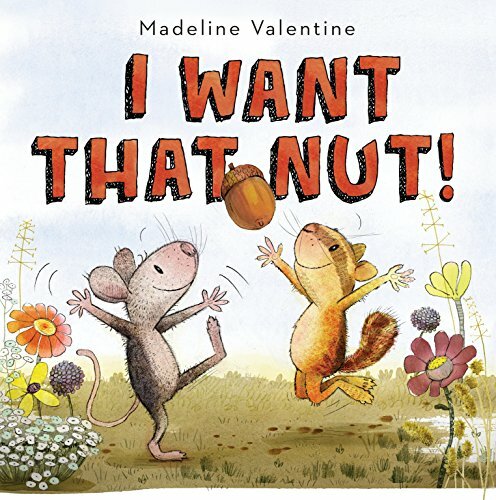 Meet Mouse and Chipmunk, two young rodents who want the same thing—a big, beautiful nut! But who deserves it more? After all, Chipmunk and the Nut read together and lie in the grass and stare at the clouds. Chipmunk wants that nut! And Mouse and the Nut play tic-tac-toe and have a dance party together. Mouse also wants that nut! But then Squirrel comes along and claims the Nut for his own. What’s a rodent to do?